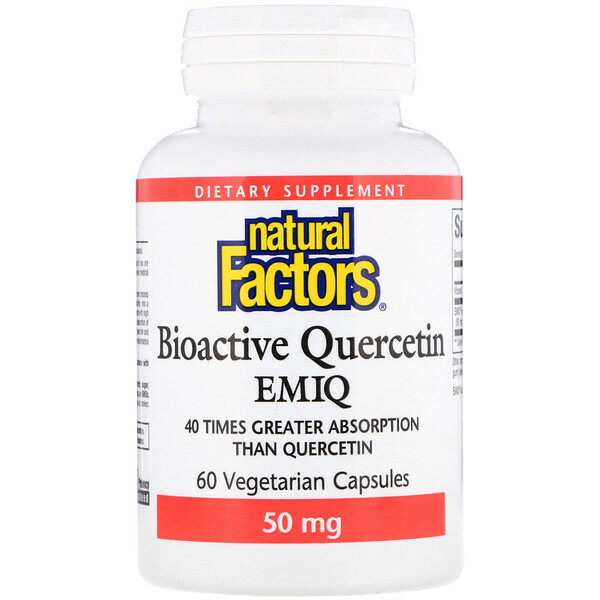 EMIQ or Enzymatically Modified Isoquercitrin is prepared by using a natural enzyme process that attaches polysaccharides to convert quercetin, which has poor bioavailability, into a soluble form (Alpha-Glycosyl Isoquercitrin). EMIQ provides the benefits of quercetin with high absorption and superior bioavailability. 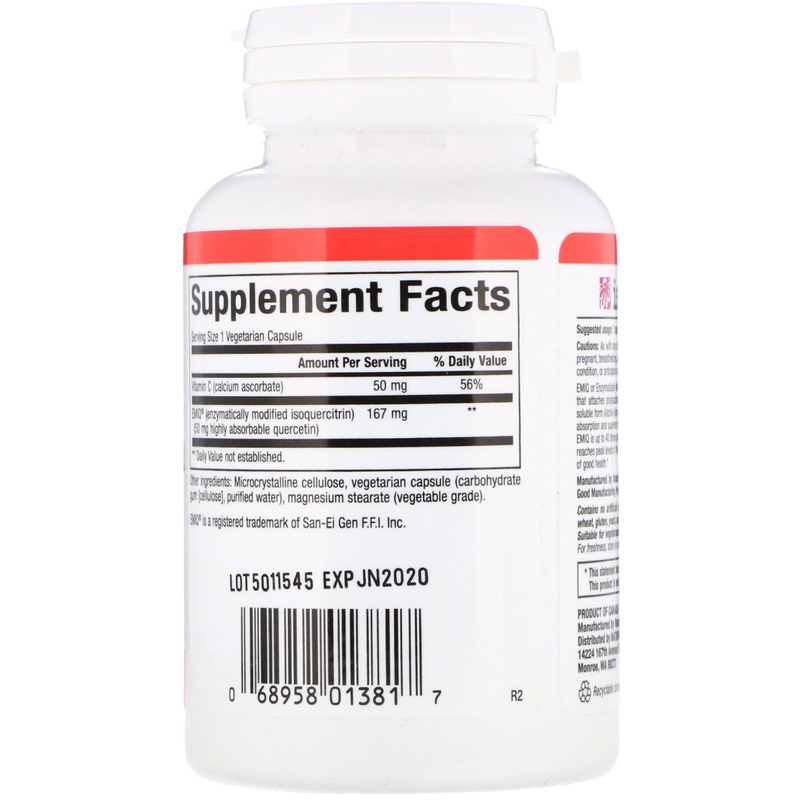 According to pharmacokinetic data, the absorption of EMIQ is up to 40 times greater (Cmax) and 15 times greater (AUC) than that of quercetin and reaches peak levels in the bloodstream in just 15 minutes. An antioxidant for the maintenance of good health. Contains no artificial colors, preservatives, or sweeteners; no dairy, starch, sugar, wheat, gluten, yeast, egg, fish, shellfish, animal products, salt, tree nuts, or GMOs. Suitable for vegetarians/vegans. Sealed for your protection. Do not use if seal is broken. For freshness. store in a cool, dry place.